Which is Better: Raw or Pasteurized Milk? Nothing like a taking on a controversial subject. Devotees of raw milk are fanatical and almost militant... while scientists and researchers consistently say the advocates of raw milk are FLAT-OUT WRONG and taking huge health risks. Here's the pro and con. It's very difficult to find any credible sources of research supporting the notion that raw milk is better than homogenized, pasteurized milk. I did my best. If you think I missed a credible source, please send me a link to it! Pasteurization is a process by which milk is heat-treated to kill pathogens like bacteria and to help prevent spoilage. This also extends to dairy products like cheese and ice cream made from milk. Why and when is pasteurization important? When a cow is milked, there is always the potential for bacteria from feces and other external sources to enter the milk, either from contamination on the cow's udder, or other points along the collection path. Of course, farmers clean a cow's udders prior to milking and take precautions in handling the milk. But when milk is produced commercially, on an industrial scale, milk is collected and combined from many different farms. This increases the risk that a given batch will be contaminated. Pathogens found in raw milk include the organisms responsible for such diseases as Listeriosis, typhoid fever, tuberculosis, diphtheria, and brucellosis. The bacteria in raw milk can be especially dangerous to people with weakened immune systems, older adults, pregnant women, and children. 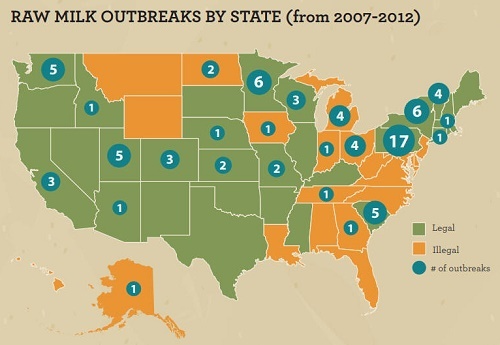 In fact, the CDC analysis found that foodborne illness from raw milk especially affected children and teenagers. As we should all remember from childhood science classes, Louis Pasteur developed the process in 1864. Milk is typically heated to 161°F, or higher, for just 15 seconds. The milk is very quickly heated to this temperature, and rapidly cooled, so that pasteurization results in no meaningful difference in the nutritional value of pasteurized milk compared to the raw product. While there is a sterilization process used to produce shelf-stable milk (the boxed UHT milk not found in the refrigerator section) but normal pasteurization is NOT sterilization, so pasteurized milk must still be stored in the refrigerator. at 40 F or lower. People don't really get sick from raw milk, do they? A group of scientists gathered together and compiled the best available information about raw milk and created a website about it called Real Dangers of Raw Milk to provide consumers with a better understanding about raw milk risks. And on their website you can see videos made by families who became sick from drinking raw milk. Several families offered to share their stories on video to help raise awareness about the potential risks and negative effects on health from drinking contaminated raw milk. More about their experiences can be found on the Real Life Stories page. The CDC also has videos of people who became ill from drinking raw milk. What are the symptoms of food poisoning from raw milk? Raw milk can carry harmful germs that can make you very sick or even kill you. 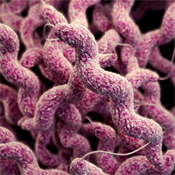 These germs include Brucella, Campylobacter, Cryptosporidium, E. coli, Listeria, and Salmonella. Getting sick from raw milk can mean many days of diarrhea, stomach cramping, and vomiting. Less commonly, it can lead to severe or even life-threatening illness, including Guillain-Barré syndrome, which can cause paralysis, and hemolytic uremic syndrome, which can result in kidney failure, stroke, and even death. Six states ban sales raw milk entirely: Montana, Nevada, New Jersey, Louisiana, Iowa, and Delaware. See this page for much more detailed information about state laws regarding the sale of raw milk and raw milk products. According to an analysis by the Centers for Disease Control and Prevention (CDC), between 1993 and 2006 more than 1500 people in the United States became sick from drinking raw milk or eating cheese made from raw milk. In addition, CDC reported that unpasteurized milk is 150 times more likely to cause foodborne illness and results in 13 times more hospitalizations than illnesses involving pasteurized dairy products.. coli, and Listeria, which are responsible for causing numerous foodborne illnesses. What do proponents of pasteurization say? Raw milk can harbor dangerous microorganisms, such as Salmonella, E. coli, and Listeria, that can pose serious health risks to you and your family. Raw milk does not cure lactose intolerance. Raw milk does not contain probiotic organisms, like yogurt does that facilitate the breakdown of lactase. What do proponents of Raw milk say? So, can unpasteurized milk be safe? Sure, when it comes from a since cow and stringent sanitation is followed. That reduces the risk substantial. Still not as much as pasteurization, but substantially. The question is, how do you know that it did come from a single cow and that all the hygiene and safety procedures were followed carefully? Care to bet your life on it? Raw milk has gotten a lot of press lately with many advocating that it has a better flavor, is better tolerated, and has health benefits regular milk doesn’t. Don’t be fooled, most of these claims have little to no research to back them up. On top of that, those who drink raw milk run a major risk of infection with bacteria present in the milk that's normally killed in the pasteurization process conventional milk goes through. 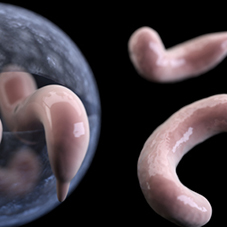 Those infections can be deadly, especially in pregnant women and small children. What do advocates of raw milk says? Here are some quotes from various proponents of raw milk. They are not universities or other scientific sources: Most of these sources are pushing their own supplements, books and profit-making agenda. The Healthy Home Economist a source whose website is selling books and supplements. The risks of these are greatly reduced when milk is pasteurized. FDA: Raw milk does not cure lactose intolerance. The Dangers of Raw Milk (FDA) Raw milk can harbor dangerous microorganisms that can pose serious health risks. Questions & Answers: Raw Milk (FDA) Raw milk is not safe to drink. Find out more about the risks. Food Safety and Raw Milk (FDA) Understanding health risks associated with raw milk. Raw Milk Questions and Answers Frequently asked questions and answers about the risks of drinking raw milk. When pregnant women eat Mexican-style soft cheeses, they are putting their unborn babies at risk! 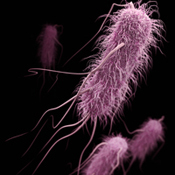 To avoid the risk of salmonella infection, use a pasteurized egg product instead of raw eggs.